Goddess Alive Radio welcomes the inspirational Dr. Jalaja Bonheim, Author, Teacher, and Leader in Women’s Circles, and Founder of CircleWork™ around the world. She is also an Instructor on Mystery School of the Goddess and is leading Invoking the Goddess of Wealth, beginning August 11 . 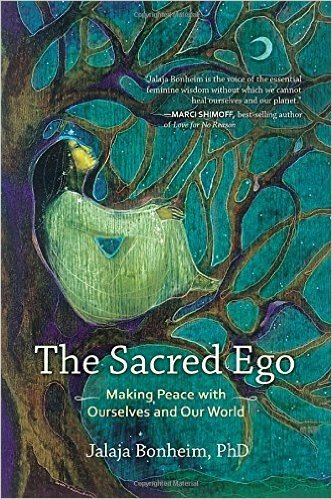 Jalaja is joining us to discuss her groundbreaking new book, The Sacred Ego: Making Peace with Ourselves and Our World (Sacred Activism) and lead us in a Full Moon Meditation. The moon is full on July 31 at 643am in Aquarius and we will be taking advantage of this powerful energy of the Blue Super Moon! Join us on Saturday, August 1 at 5pm eastern for the interview and guided meditation! In The Sacred Ego, she tackles one of the core myths of popular spiritual culture—the myth of the ego, supposedly responsible for our greed, selfishness, and violence. In contrast, Jalaja approaches the ego as a sacred function worthy of honor and gratitude. Instead of struggling against it, she invites us to cultivate a new relationship with it based on respect and understanding. With riveting stories from her work, she guides us into the depths of our collective psyche to pinpoint the real sources of our problems and illuminate our path to wholeness. Jalaja Bonheim, Ph.D., leads circles and trains women from around the world in circle leadership. Jalaja is internationally known for her groundbreaking use of circle gatherings as a tool for empowering women, healing individuals and communities, and cultivating peace. For over 25 years, she has been leading circles, studying the dynamics of the circle, and developing a community of Circlework™ practitioners. A German native, she immigrated to the United States in 1982 after spending several years studying Indian temple dance in India. She now lives in Ithaca, NY, where she maintains a private counseling practice. 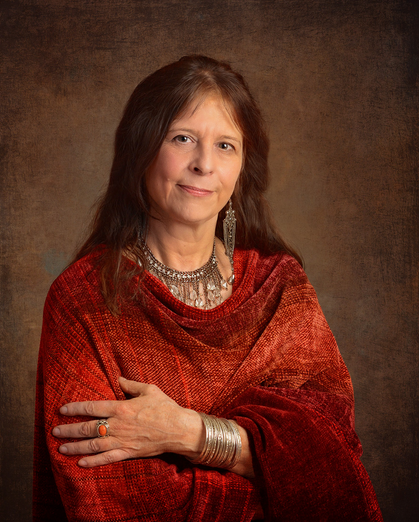 She is the author of five books, including Aphrodite’s Daughters: Women’s Sexual Stories and the Journey of the Soul, Goddess: A Celebration in Art and Literature, and her latest, The Sacred Ego: Making Peace with Ourselves and Our World. She is the founder and director of the Institute for Circlework. Connect further on her site JalajaBonheim.com.